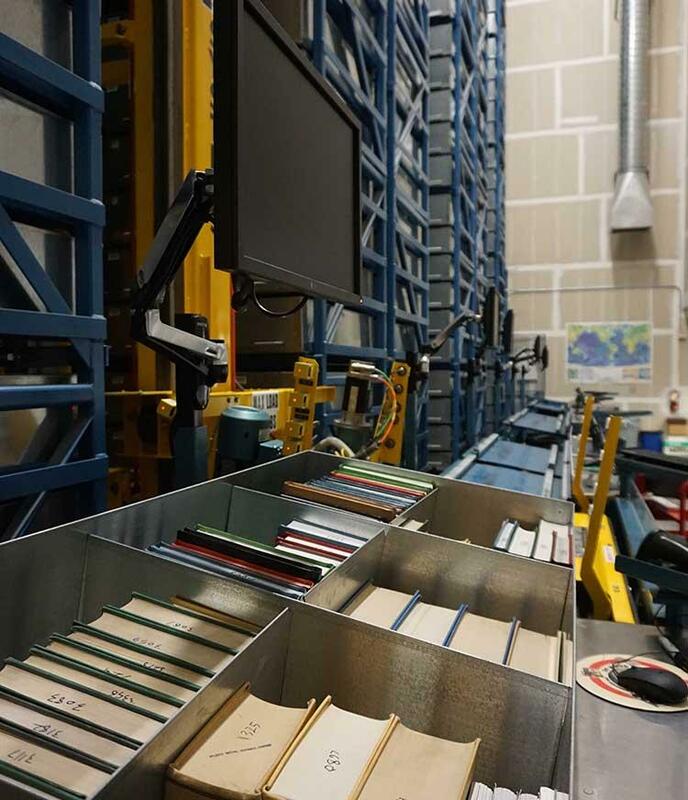 One of the unique features of the Jean and Charles Schulz Information Center is the Automated Retrieval System. 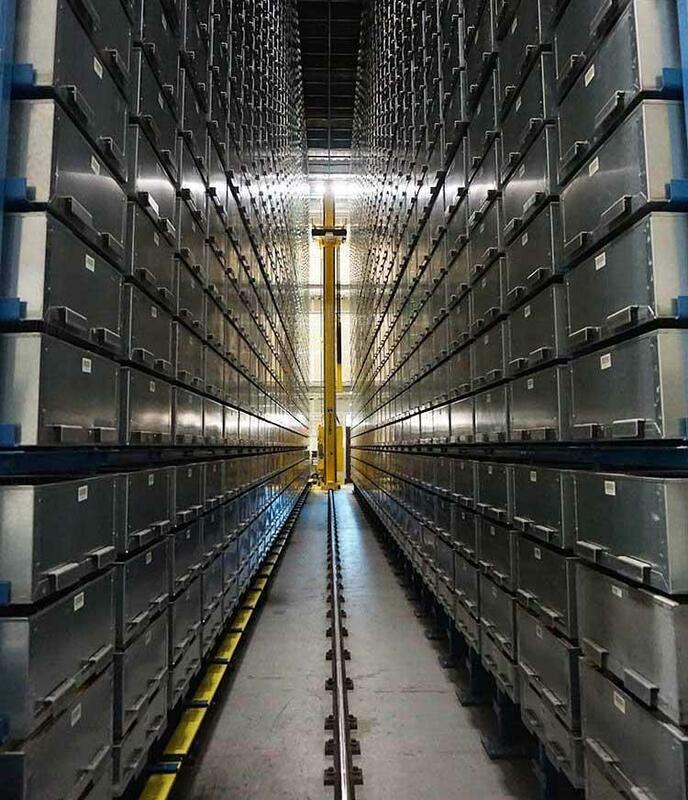 The retrieval system provides quick access to a three-story, computer-managed storage system with a capacity for 750,000 items located within the library building. What is kept in the retrieval system? The retrieval system is where we keep archived journals, theses, and less-used items. It allows us to keep less-used items in the building and accessible, while leaving room for more current and heavily used materials on the open shelves. If the item you want is located in the Automated Retrieval System, you'll need to request it by clicking the Click to Request button in the catalog record. Once a request is made, an automatic crane locates the requested item and delivers it to a pick-up station. At the pick-up station, a person places the book into a carrier, which delivers the item to the Information/Check-Out Desk on the second floor. The entire process takes about 15 minutes and can be seen from several viewing windows located on the third floor of the library. What are the advantages of an ARS? Who makes the system and who else is using it? 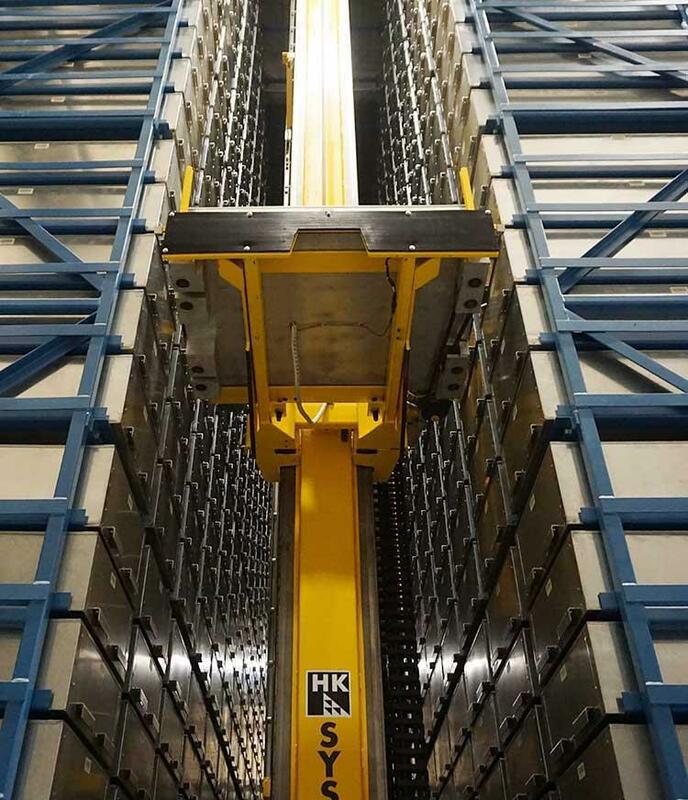 The Automated Retrieval System at SSU was manufactured by HK Systems of Salt Lake City, Utah.